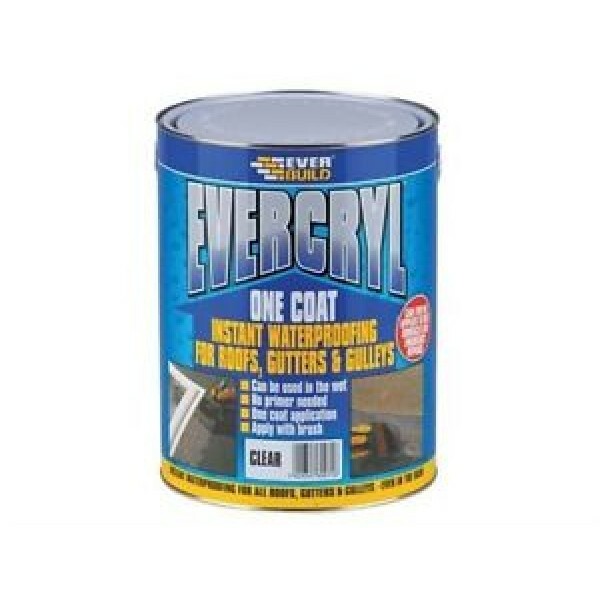 EVERCRYL ONE COAT is a resin based, fibre re-enforced roof repair compound which is effective on all common roofing surfaces and types, giving an instant roof repair even in the wet and on wet surfaces. May also be applied in frosty conditions down to –5`C. EVERCRYL ONE COAT is instantly waterproof when applied, so there is no fear of wash off, so emergency leaks can be tackled immediately as there is no need to wait for the rain to stop. EVERCRYL ONE COAT is brush applied and dries to a smooth seamless flexible membrane which resists algae and fungal growth. Because of the high level of fibre re-enforcement, EVERCRYL ONE COAT will bridge small cracks and requires only a one-coat brush application to give instant and total water protection, even in areas subject to ponding. EVERCRYL ONE COAT requires no primer on sound non-porous surfaces. May be applied in damp and wet conditions. Fibre re-enforced to bridge small cracks. Primerless adhesion to most bituminous and non porous surfaces. General sealing, maintenance, repair and waterproofing of most common roofs in wet or dry conditions– for use on concrete, fibre/cement, roofing felt, mastic asphalt, existing bituminous roof coatings, rigid uPVC corrugated iron, metals, slates, brickwork, tiles, lead, copper and zinc. Waterproofing guttering (plastic and metal), downpipes, gully’s, flashings, upstands, vents and leadwork. No roof-coating product can be expected to repair an existing roof that is not structurally sound and stable. Before using a surface coating the roof structure should be inspected and, if necessary, put in order. All cracked, broken, slipped or missing slates, tiles, sheets or other forms of covering should be replaced or re-fixed and cracks in felt or asphalt filled. (Safety Recommendation: do not coat roof lights, windows, glass or translucent sheets. These will constitute a hidden hazard if disguised). Preparation of the surface is of great importance and will influence the degree of adhesion and life of the renovation. All roof surfaces to be coated should be sound, stable, clean, i.e. 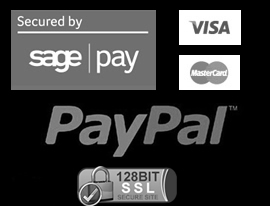 free from loose debris, dirt, dust and grease. All traces of algae and fungi growth should be removed using a stiff-bristled brush. Where algae and fungi have been present, remove them completely and treat the surface with EVERBUILD MOSS AND MOULD REMOVER to kill any remaining spores, thereby discouraging the return of the growths. Make good any holes or loose felt/slates/tiles etc. Fill holes/imperfections with BLACK JACK BITUMEN MASTIC. Stick down loose felt etc with BLACK JACK ROOF FELT ADHESIVE. Blisters in roofing felt must be cut, dried, re-bonded and sealed. New metal surfaces must be degreased with a suitable solvent. Remove all rust or treat rusty surfaces with a rust inhibitive primer (eg zinc phosphate based). All non- bituminous, porous or friable surfaces must be primed with BLACK JACK BITUMEN AND FLASHING PRIMER allowing primer to dry thoroughly before use. STIR WELL BEFORE USE. Apply by brush in a one coat at a rate of 1-2 litres per square meter. In extreme cases, a second coat may be applied 2-3 days after initial application. Do not exceed 60°C. Will withstand frost. 24-48 hours per coat, product is however instantly rain and frostproof. Tools, brushes etc with brush cleaner or white spirits.